Harvard University has withdrawn a visiting fellowship title offered to Chelsea Manning after CIA director Mike Pompeo called the invitation to the intelligence expert a “shameful stamp of approval” and cancelled a talk at the university in protest. 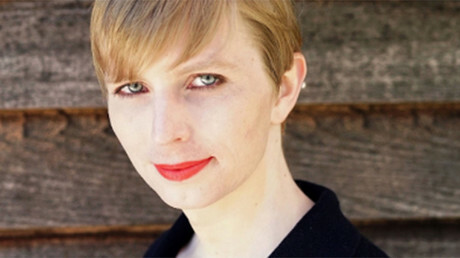 In 2013, Manning was sentenced to 35 years of imprisonment, the harshest sentence in US history for an official leak, for giving WikiLeaks nearly 750,000 classified and unclassified military documents and diplomatic cables. The soldier was released in May from a US military prison in Kansas after her sentence was commuted by Barack Obama in his final days in office. — CIA (@CIA) 15 сентября 2017 г. “While I have served my country as a soldier in the United States Army and will continue to defend Ms. Manning's right to offer a defense of why she chose this path, I believe it is shameful for Harvard to place its stamp of approval upon her treasonous actions," Pompeo, who was due to appear at Harvard’s John F Kennedy School of Government to give a speech on global security concerns, wrote in a letter to Harvard, according to NBC. Manning had been among a group of a dozen “experts, leaders and policy-shapers,” including former White House press secretary Sean Spicer and former Trump campaign manager Corey Lewandowski, invited to speak at Harvard’s Kennedy school as visiting fellows. — Chelsea E. Manning (@xychelsea) 15 сентября 2017 г. Shortly after Pompeo’s withdrawal, the university stripped Manning of her title. “I now think that designating Chelsea Manning as a visiting fellow was a mistake, for which I accept responsibility,” the dean of the Kennedy School, Douglas Elmendorf, said in a statement. “I see more clearly now that many people view a visiting fellow title as an honorific, so we should weigh that consideration when offering invitations,” he added. “We are withdrawing the invitation to her to serve as a Visiting Fellow—and the perceived honor that it implies to some people—while maintaining the invitation for her to spend a day at the Kennedy School and speak in the Forum. This decision now is not intended as a compromise between competing interest groups but as the correct way for the Kennedy School to emphasize its longstanding approach to visiting speakers while recognizing that the title of Visiting Fellow implies a certain recognition,” Elmendorf stressed early on Friday. Earlier on Thursday, former CIA Acting Director Michael Morell announced his resignation as a senior fellow at Harvard over Manning’s invitation. “I can’t be part of an organization that honors a convicted felon and leaker of classified information,” Michael Morrell, a senior fellow, wrote in his resignation letter to the Dean of the Harvard Kennedy School of Government.